On Thursday night, a deepening area of low pressure moving in from the Atlantic on a powerful jet stream will pass close to the north of Scotland. This will bring gales or severe gales across northern Britain, with the Northern Isles likely to experience a period of storm force winds for a time. These winds have the potential to cause disruption with possible impacts to transport and power supplies and a risk of some structural damage. The Met Office has issued amber ‘be prepared’ Severe weather warnings for wind for the Northern Isles, western and southern Scotland, the far north of England and Northern Ireland. West to southwesterly gales are expected to develop during the early hours of Friday with gusts of 60-70 mph widely, possibly reaching 80 mph over exposed coasts and over and to the lee of high ground. People should be prepared for the likelihood of difficult driving conditions and disruption to travel. Some structural damage is also possible, as well as disruption to power supplies. Over the Northern Isles storm force winds are likely to develop with gusts of 70-80 mph and they may occasionally reach 9 0mph. People should be prepared for dangerous conditions including structural damage and debris, disruption to power supplies and widespread disruption to transport. In addition to the strong winds, large waves are also expected around western coasts. Heavy rain and surface water will provide additional hazards as an active cold front brings squally conditions for a time as it moves eastwards through the morning. The winds should ease off later on Friday, with a brief colder spell setting in across Scotland bringing snow showers to low levels. With winds strengthening for a time again overnight there is the risk of blizzard conditions, particularly over higher ground in the north of Scotland. 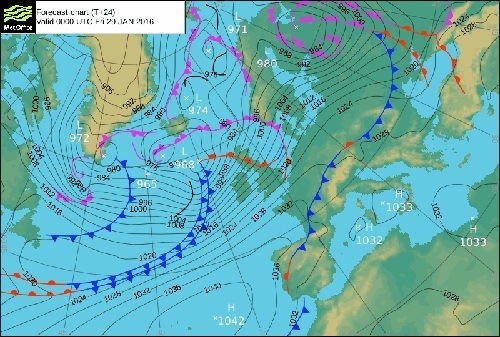 Chief Operational Meteorologist, Paul Gundersen said: “A rapidly deepening area of low pressure is expected to bring a spell of severe weather across northern Britain on Friday. A spokesperson for TransportNI said: “TransportNI staff are on standby to deal with the severe weather conditions which winter can bring. Looking ahead, the very changeable weather will continue through the weekend and into next week with further rain, snow and winds likely to bring a chance of disruption at times.